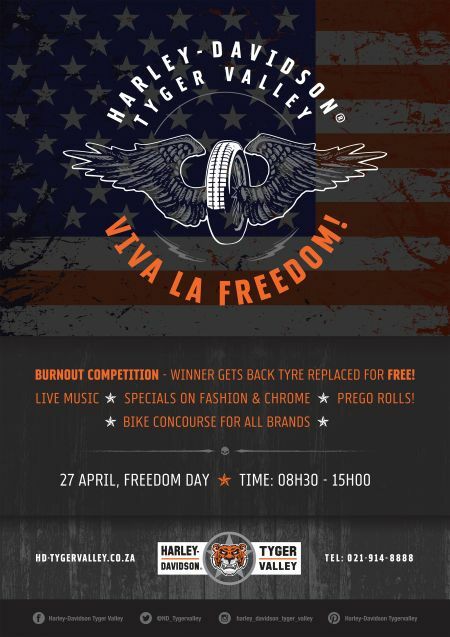 Home › Events › Viva La Freedom! Join us on Freedom Day for a celebration of note! All are welcome. We'll have delicious prego rolls, a bike concourse (open to all brands), a burnout competition, live music and more! No entry fee. Keep an eye out for our Jumpstart - a machine which allows those who have never been on a bike before, to ride a Harley® motorcycle while in a stationary position. For the Harley® enthusiasts: take advantage of our fantastic specials on fashion and chrome! Invite your friends and we'll see you on Freedom Day!